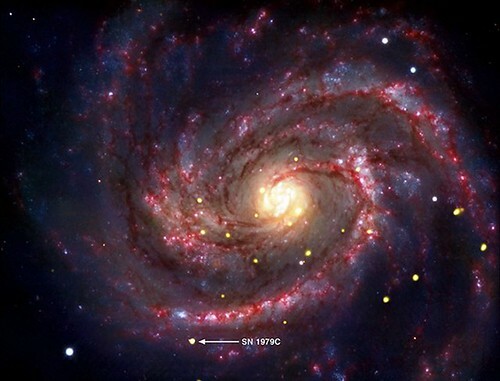 The Chandra X-ray satellite just found the youngest nearby black hole. At 30 years old, it’s the remnant of SN 1979C, a supernova in the galaxy M100 approximately 50 million light years from Earth. “If our interpretation is correct, this is the nearest example where the birth of a black hole has been observed,” said Daniel Patnaude of the Harvard-Smithsonian Center for Astrophysics in Cambridge, Mass. who led the study. For more information, check out the web feature on NASA.gov. There’s also a good Washington Post article about this discovery. Last week, Kevin Boyce blogged for us about what it’s like going to meetings in Japan for the joint Japanese/US ASTRO-H mission. He talked about the cultural side of international collaboration. Kevin also talked to Geeked on Goddard about his experiences. 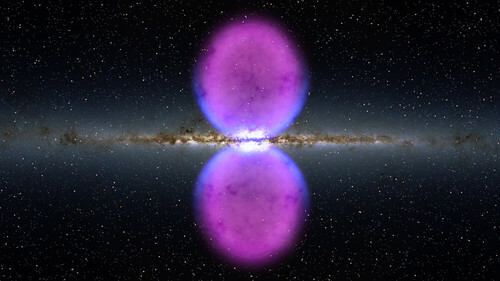 You can listen to Dr. Julie McEnery, a project scientist for the Fermi mission, talking about the recent discovery of giant gamma-ray bubbles centered on our galaxy on the Nov 11 “Science in Action” program from BBC. We mentioned the bubbles in last week’s link roundup. Was there a universe before the Big Bang? Famous physicist Sir Roger Penrose thinks so. Current thought is that the universe began 13.7 billion years ago with the Big Bang – but Penrose thinks he has found the first evidence of an “eternal, cyclic cosmos.” Here’s an exerpt from an io9 article. [Sir Roger Penrose] points out that the universe was apparently born in a very low state of entropy, meaning a very high degree of order initially existed, and this is what made the complex matter we see all around us (and are composed of) possible in the first place. His objection is that the Big Bang model can’t explain why such a low entropy state existed, and he believes he has a solution – that the universe is just one of many in a cyclical chain, with each Big Bang starting up a new universe in place of the one before. Head to the link for the rest of the article. 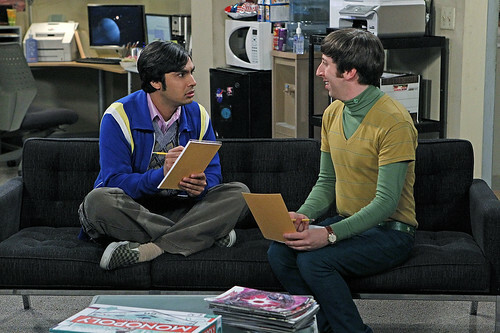 Now you can’t expect us to mention the real Big Bang without a mention of the TV show. (I know, I know…) But maybe you’ll forgive us when we tell you that more of the stuff we brought with us on our visit was featured in the episode titled “The Boyfriend Complexity”. They have the full episode up on the CBS site for a little while. No clips that we can embed this time, but CBS was nice enough to give me some stills for us to use again! In the photos and video keep an eye out for the James Webb Space Telescope model, lithos, magnets, folder, a WMAP lenticular postcard, our Got Calcium? poster, and more! Bonus geek points if you can tell us what email program Raj is using. (Hint, you can see it on the screen in the above photo.) Lots of us here at NASA use or have used it! 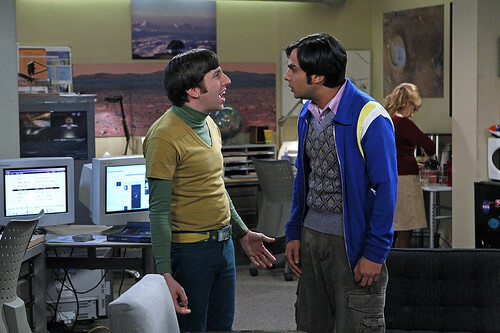 In this episode, Raj has time on a telescope. Want to know what telescope, and what he’s observing? We also found this interesting interview with Big Bang Theory science advisor, Dr. David Saltzberg, where he talks about his own research in particle astrophysics. Looks like PINE to me! Josh – Yep! We geeked out a little over that… text-based email clients still have significant popularity at NASA.